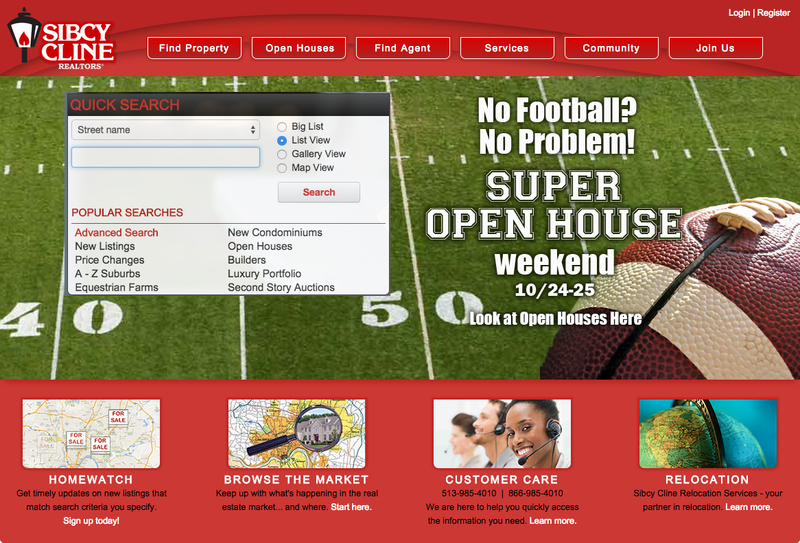 Sibcy Cline’s agents will be hosting a company-wide open house for the weekend of October 24 and 25, 2015. 350 Sibcy Cline open houses are planned throughout Cincinnati and Dayton, Ohio; Northern Kentucky; and Southeastern Indiana. No worries, football fans. This is a Bengals “bye” weekend. And, it’s a great time to buy a home: mortgage rates are till low and home values have started to rise. Take time on October 24-25, 2015 and visit some great houses available for sale. This entry was posted in Buying A Home, Events, News, Real Estate, Selling A Home and tagged 2015, Bengals Bye Week 2015, Sibcy Cline Super Open House Weekend October 25 and 25 by susanaknabe. Bookmark the permalink.